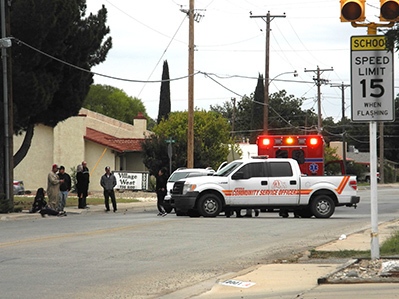 Artesia Police Department officers and EMS crews work the scene of a traffic accident that occurred around the end of the school day Tuesday at 20th Street and Mann Avenue. According to police, a minor head injury was reported, but no one was transported by EMS from the scene. One citation was also issued; information on the cause of the accident was unavailable as of press time.